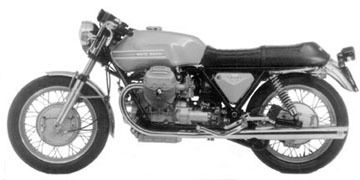 Configuration 90 degree V twin 4 stroke, air-cooled OHV, 2 valves per cylinder. Lubrication Trochoidal gear driven pump, wet sump. 3.5 US quarts. Bore & Stroke 82.5mm x 70.2mm Ignition Distributor, points, dual coils. Frame Wheels 18 inch 40 hole alloy Borrani rims, stainless spokes. Front Suspension Ceriani forks Brakes Front: Double drum, 220mm dia 4 leading shoe brake. Rear: Twin leading shoe drum brake. 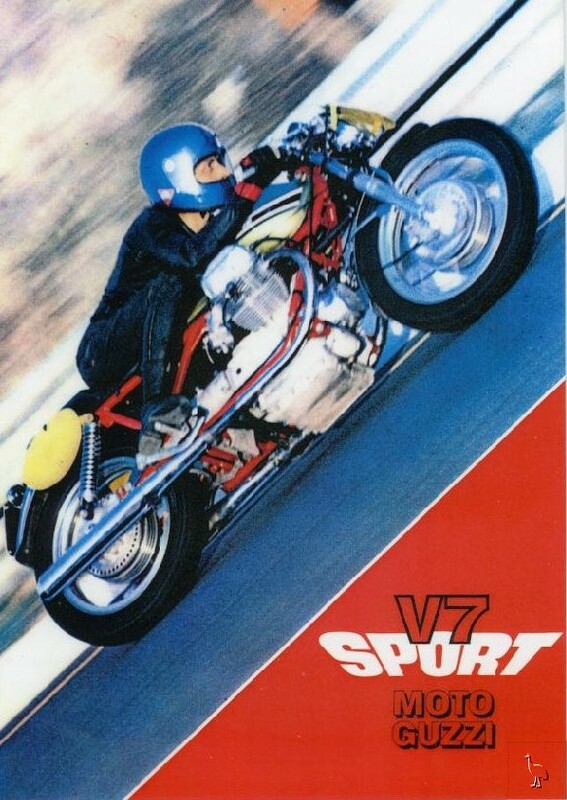 Performance Regarded as a superbike in its day. Slow in acceleration, but capable of maintaining very respectable speeds with remarkable economy.